Grab your basket and egg hunting, we will go! The Easter Bunny can come too! Send this darling gift to anyone on your list who needs a little bit of playfulness to end their winter or start their spring. 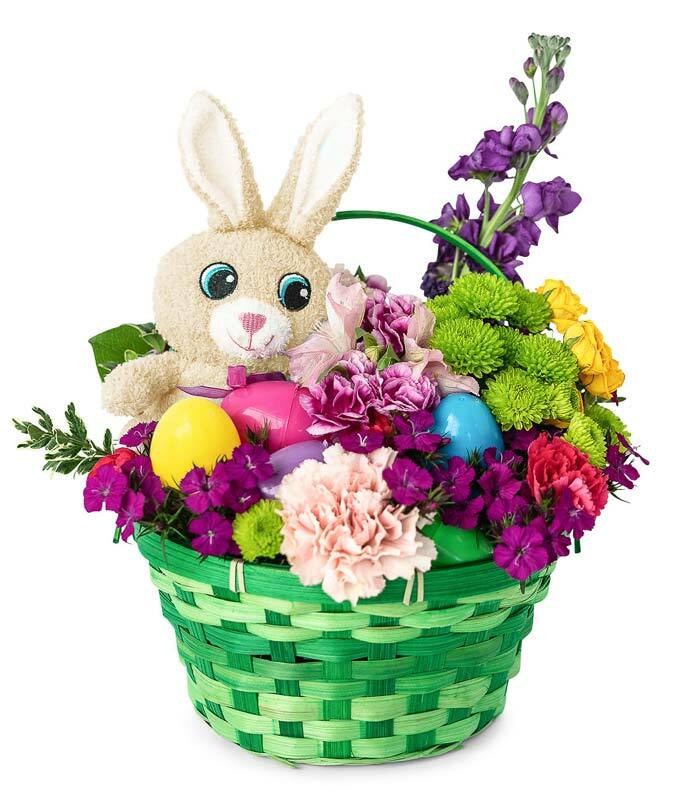 Please note that the plush bunny and Easter basket may vary based on regional availability.